MS Gov. Phil Bryant proclaims March 22nd Zippidity Do Dah Parade in Honor of the Vietnam Vets. 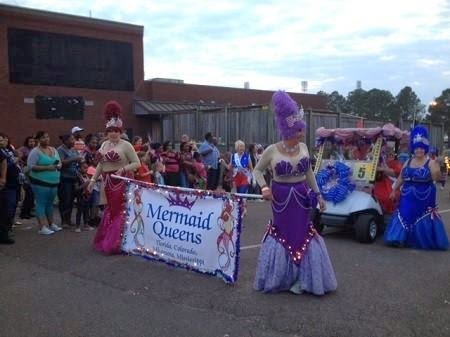 Local Real Estate Brokers Joy McClinthen ( Lake Eddins) and Lisa Tingle (Hattiesburg) form Rockin R's Wannabe Sweet Potato Queen Group and march to honor Mac McClinthen, retired Marine MSGT who served two tours in Vietnam and others. Joy is marching in the back dressed in red, white and blue. Lisa is driving the Rockin R patriotic golf cart.